Buyers at a popular new part of the Newport community will not only be enjoying life in their new houses this summer, they will also be able to experience the fun at one of Shropshire's best one-day events for free. 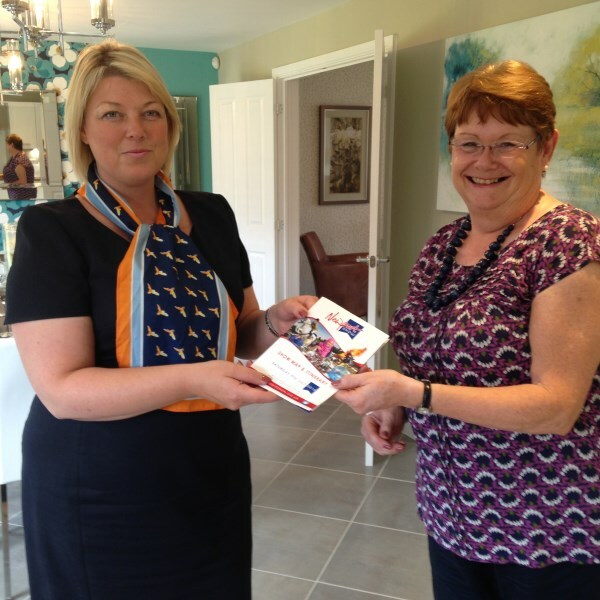 Bovis Homes has given away free Newport Show tickets to families who are moving to Haversham Gardens off Edgmond Road, a new development close to the where the annual event takes place. As one of the shows main sponsors, the house builder is excited to be part of the iconic show and along with supporting the day itself, is also sponsoring six classes in the horse, cattle and sheep sections. Marketing Manager, Carina Wilde, said: "We're delighted to be partnering with Newport Show and are proud to be a part of this wonderful community. It's a fantastic day out and we are excited that we can share this with the new homeowners at Haversham Gardens." Recognised as Shropshire's top one-day event, the Newport Show hosts a wide variety of attractions including a variety of stalls, a festival of food and an antiques and collectors' fayre. Visitors to the event, which takes place on Saturday 9th July, are invited to pop in to see the show home at Haversham Gardens, only a mile away from the show ground. The development offers a mix of three, four and five bedroom homes and is within easy reach of the local shops and services within Newport as it is conveniently located just half a mile from the town centre.